Ronaldinho is coming home. The Brazilian star returns to FC Barcelona as an ambassador for the Club having reached an agreement to represent Barça at institutional events. The ex-player is joining the Legends project. This is a team of ex-Barça players who play matches around the world in order to promote the global Barça brand and its values. 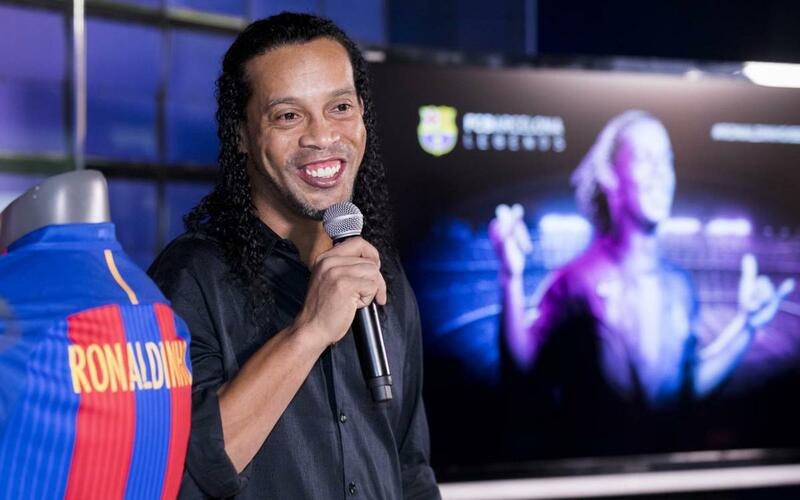 Ronaldinho has said he is “proud to be invited to help make Barça more well-known around the world.” He added: “I am very emotional about coming home and I have no words to express the gratitude I feel towards the Club, the Directors and everyone involved in bringing me back.” The Brazilian said he has “always felt like an ambassador for Barça” as fans have associated his name with FC Barcelona.